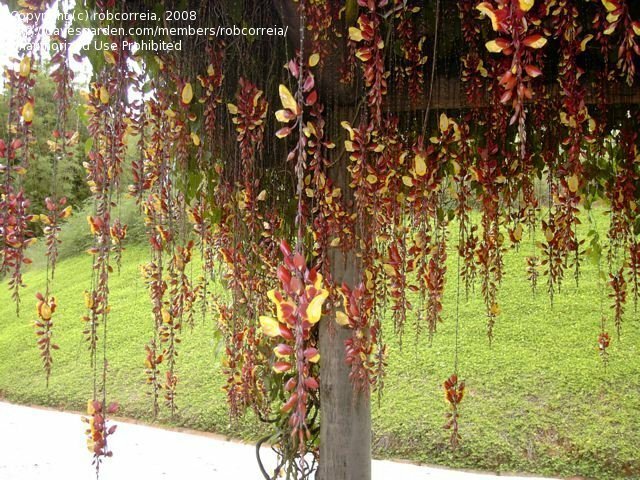 This picture was taken in Brazil. 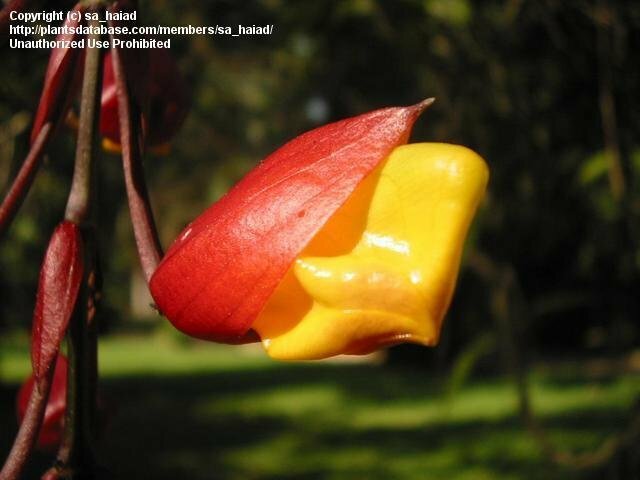 I wish I could grow one like this! 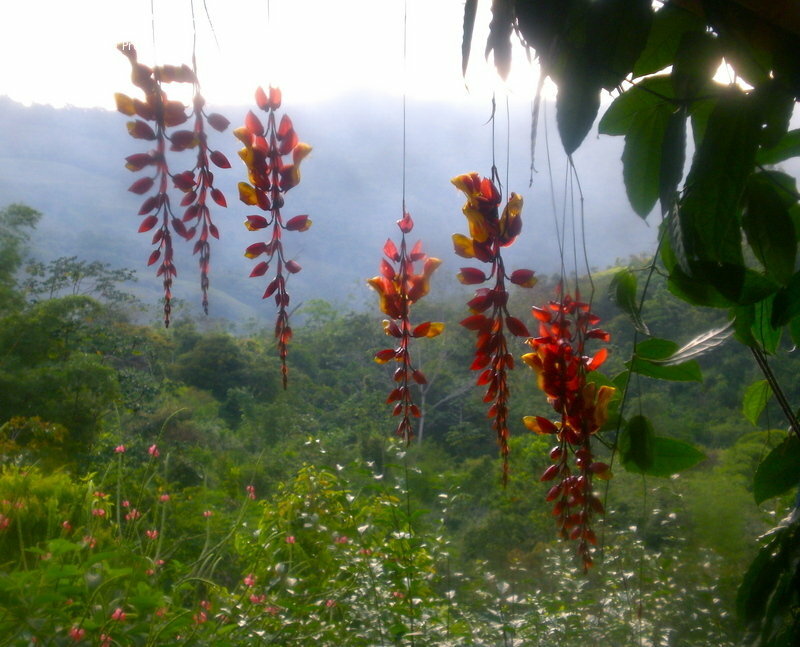 Clock vine at Jewel of the Sun, Costa Rica. 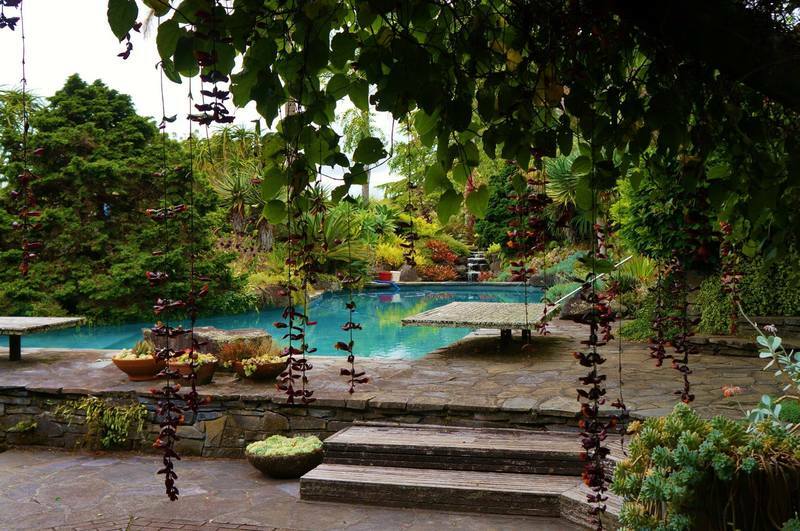 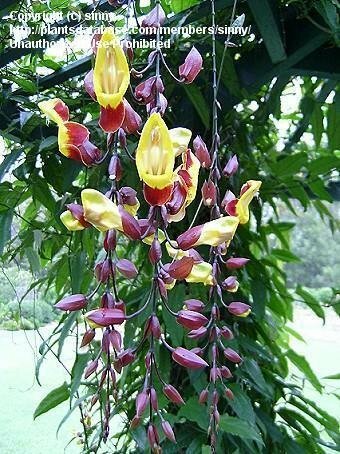 Blooms year round. 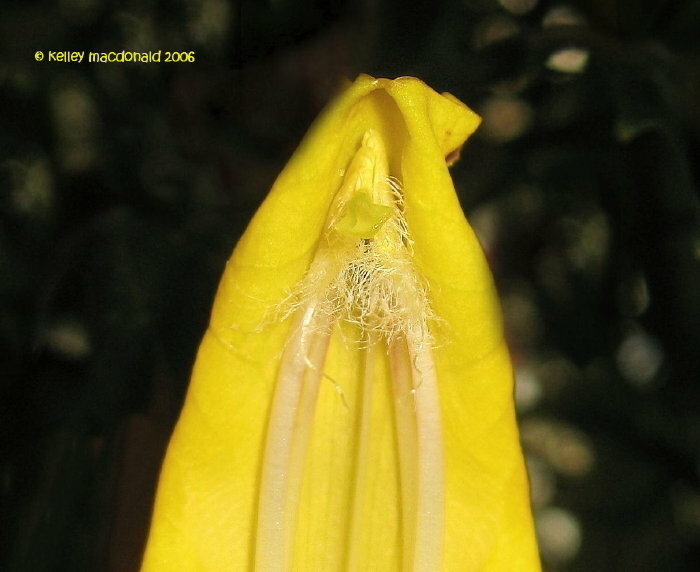 Yellow flower with the tip of lobe redish-brown, produced in spring and summer, frequently visited by hummingbirds.Rio de Janeiro, RJ, Brasil. 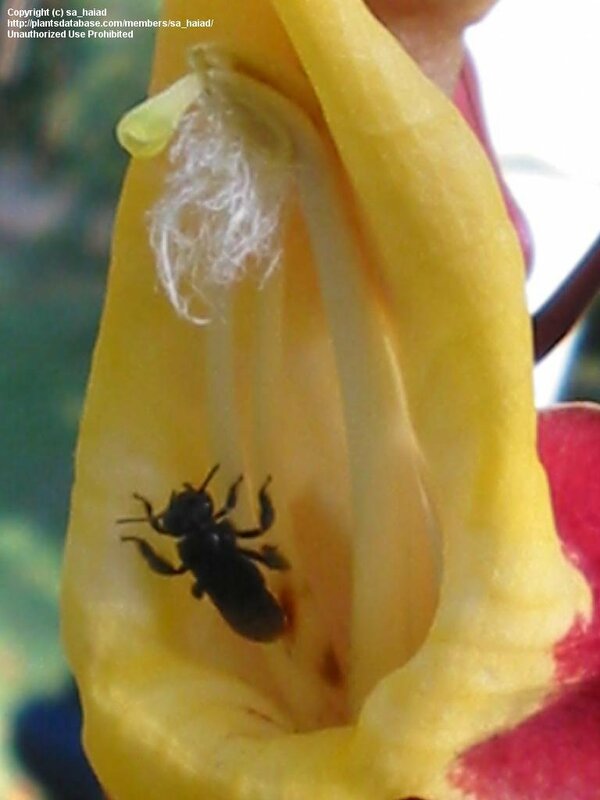 Detail of an insect visiting the flower. 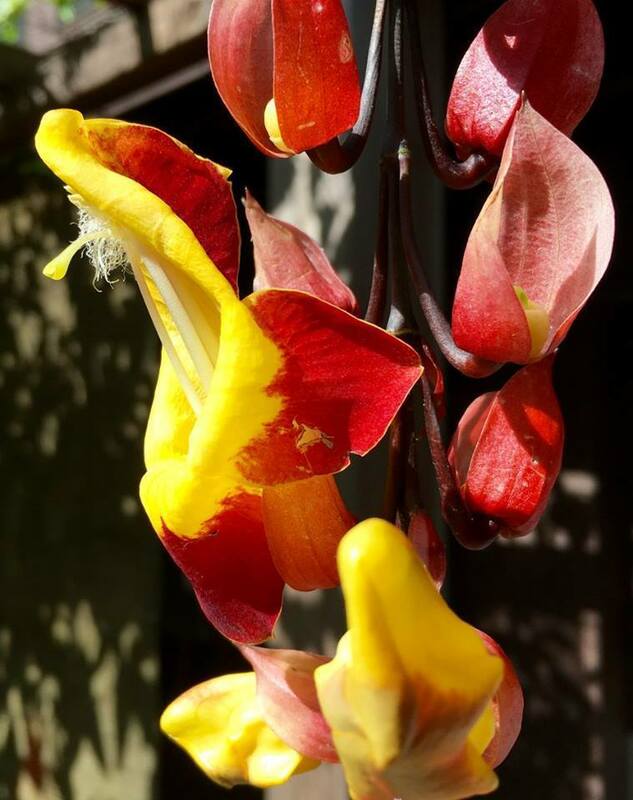 Rio de Janeiro, RJ, Brasil. 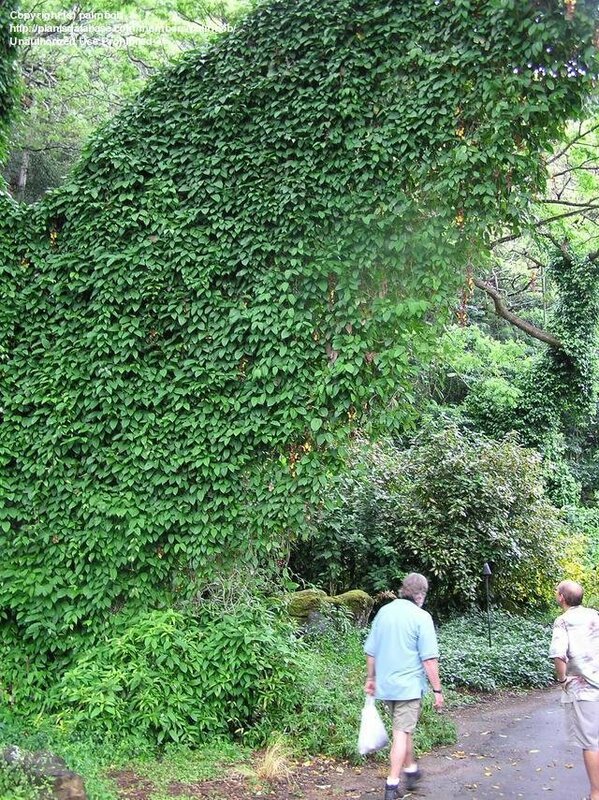 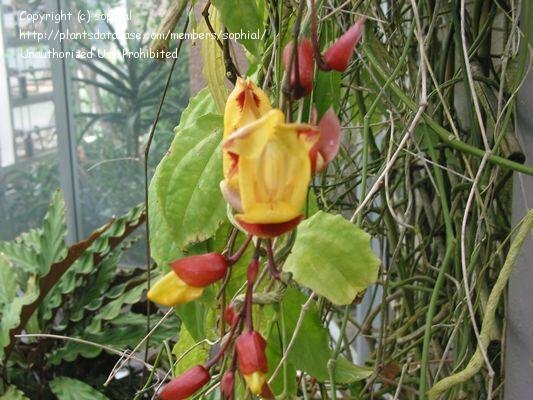 Grown well at the San Francisco Conservatory of Flowers. 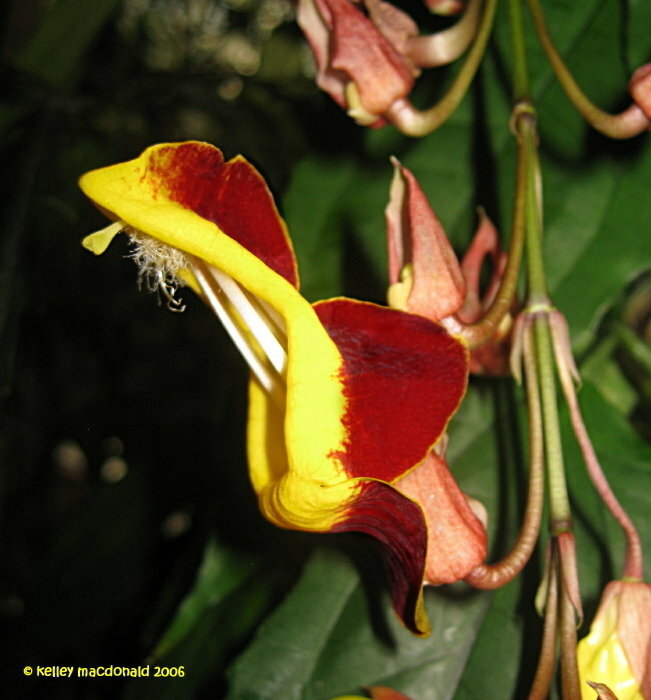 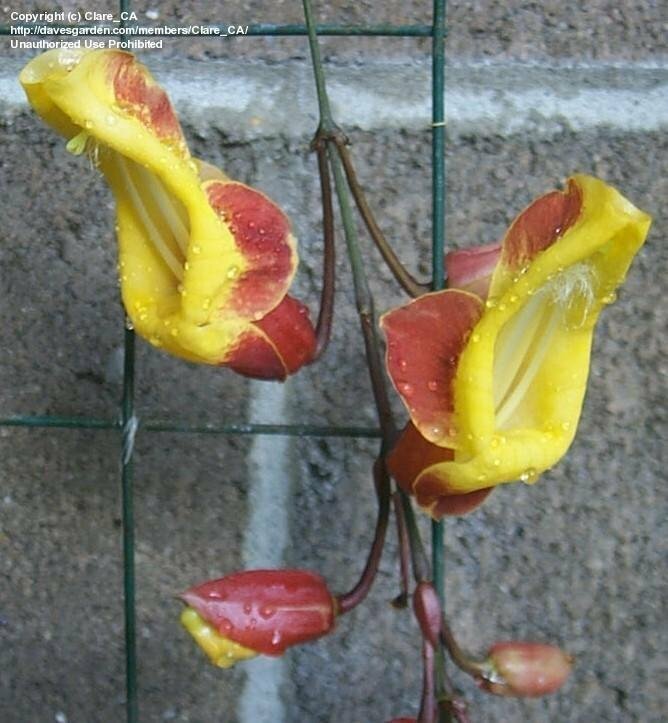 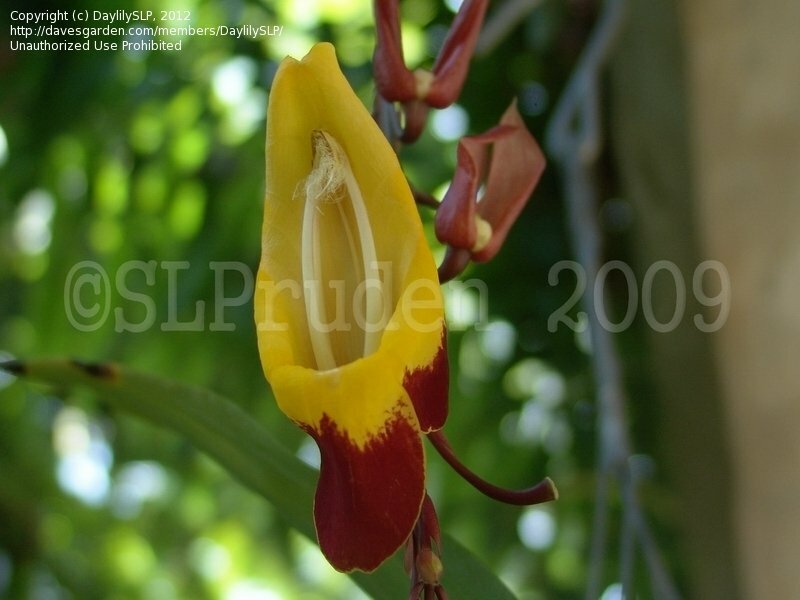 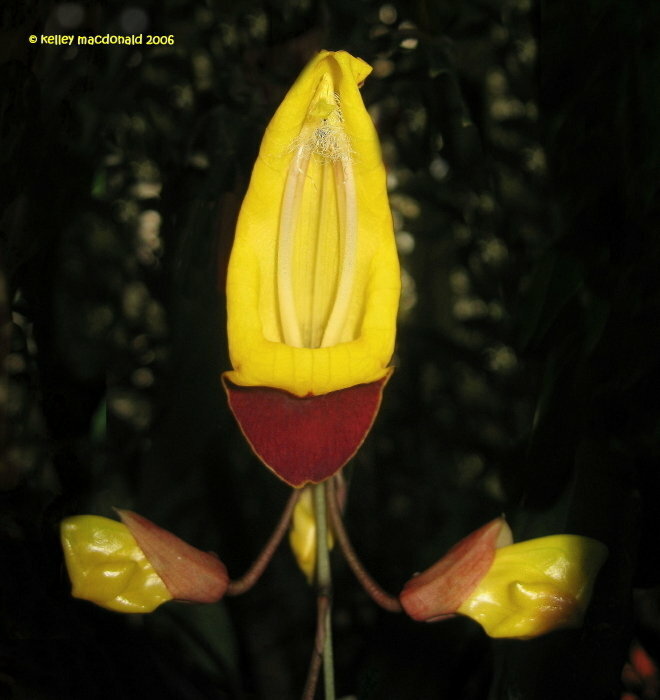 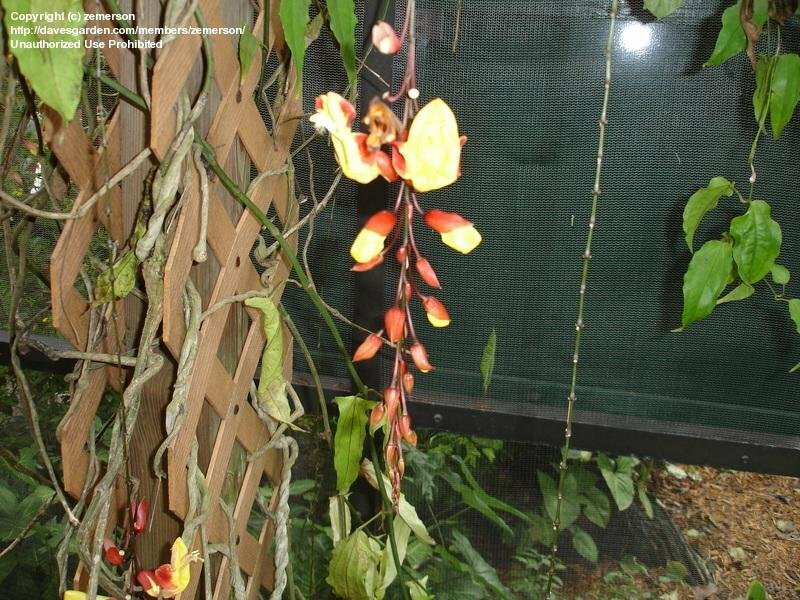 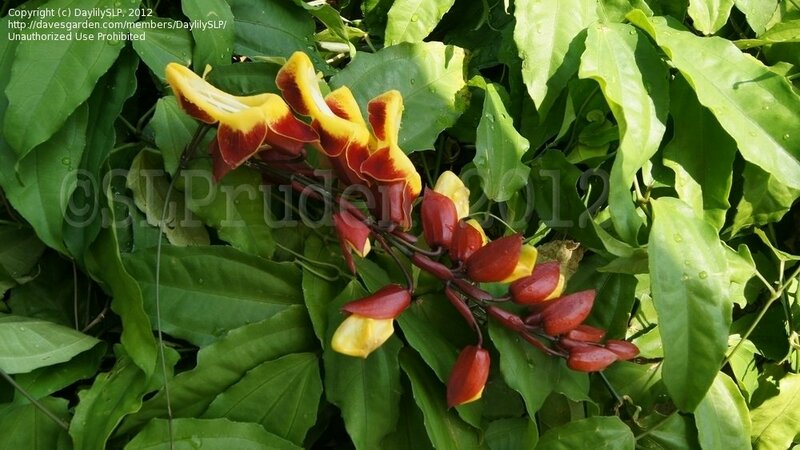 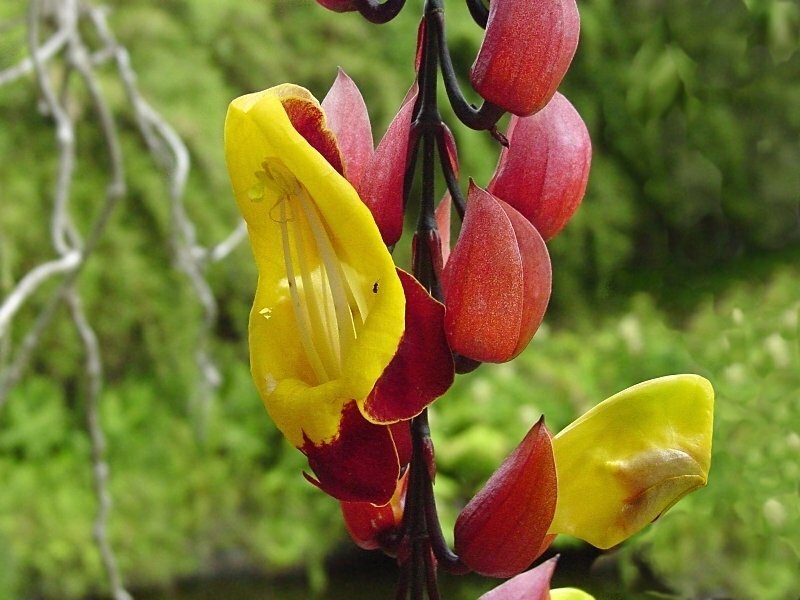 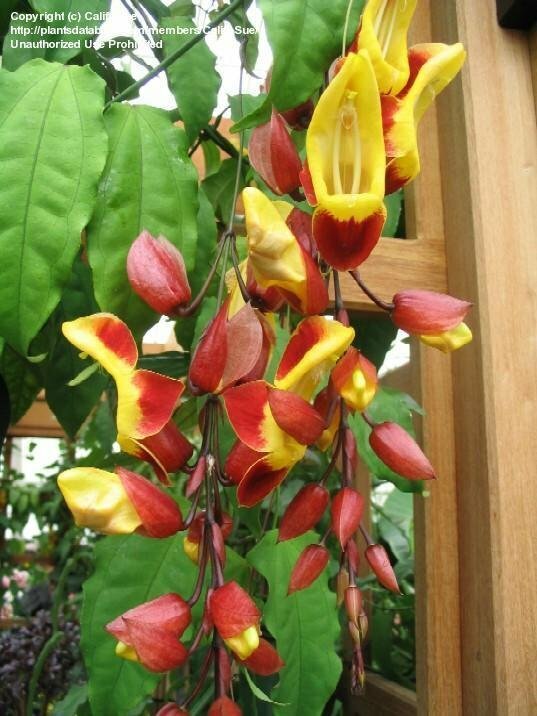 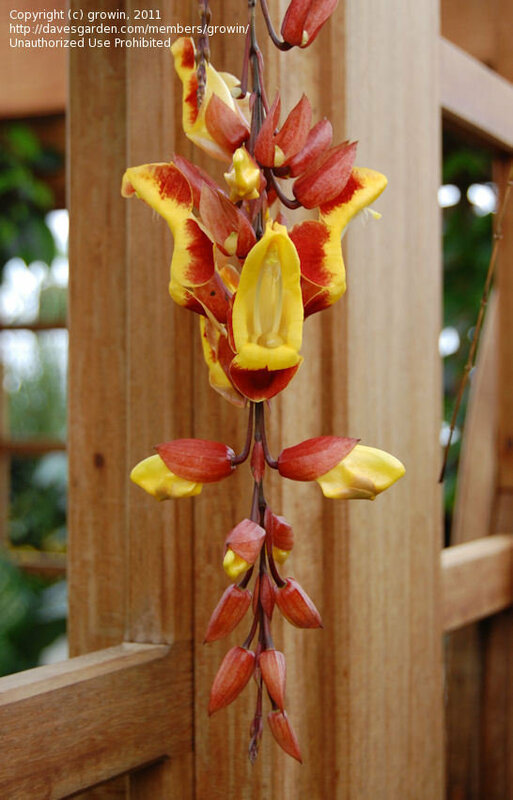 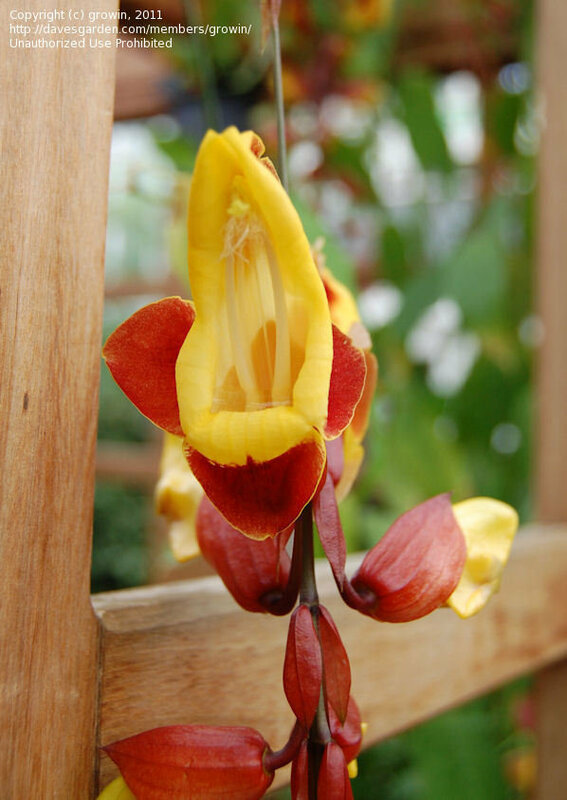 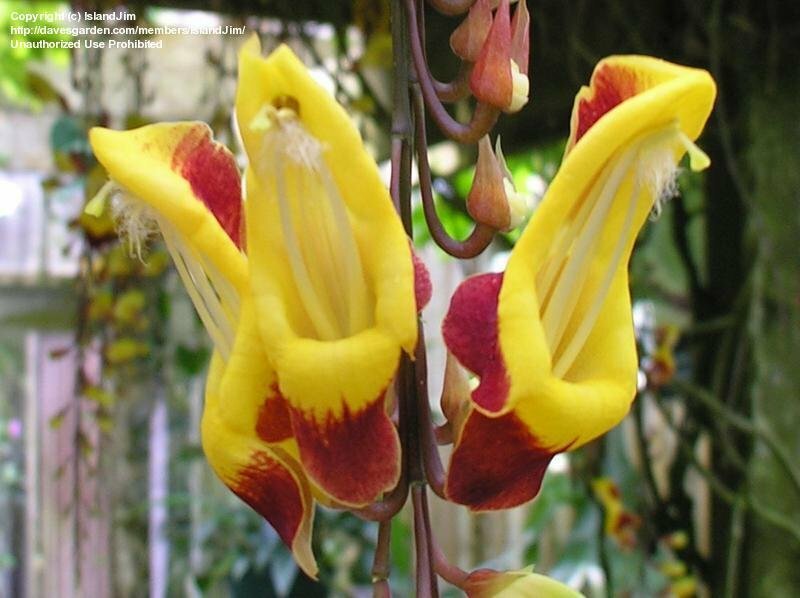 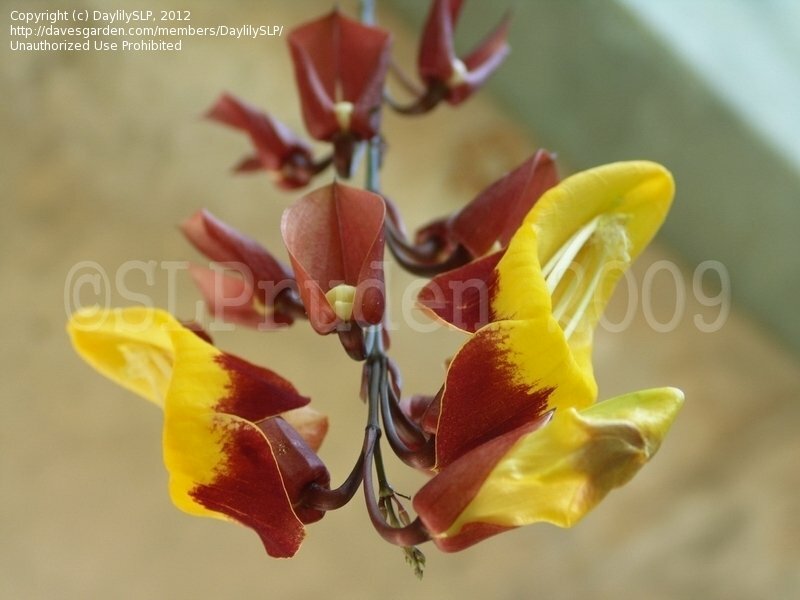 I got this vine from Logee's, and it is growing in the ground with some nearby passifloras. 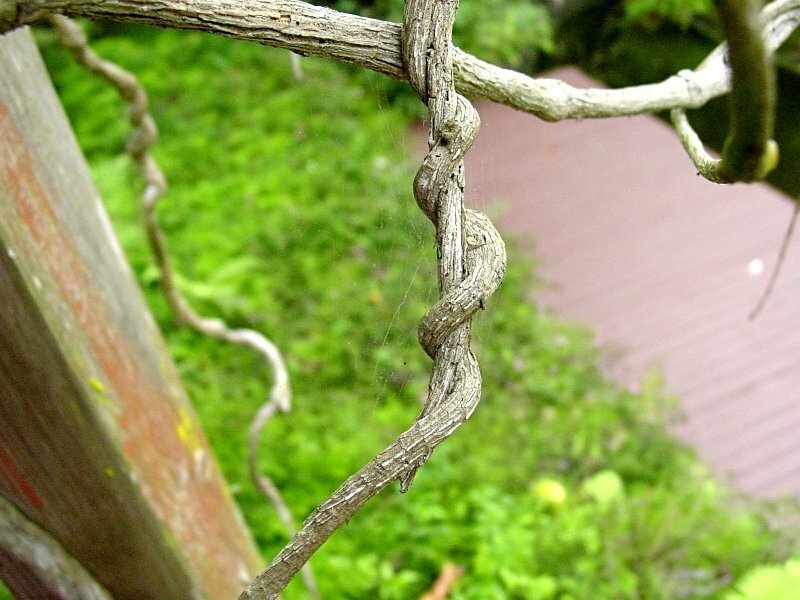 This vine received some damage to the leaves with the freezing temperatures we had over several weeks this past winter, but it managed to survive several hours of 28F. 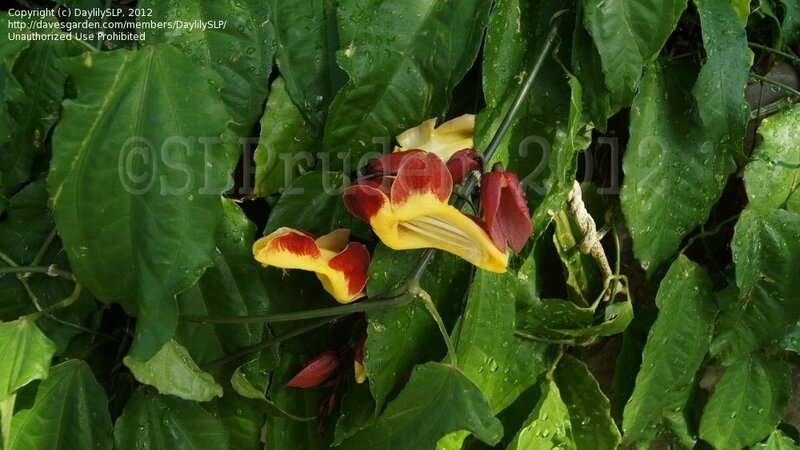 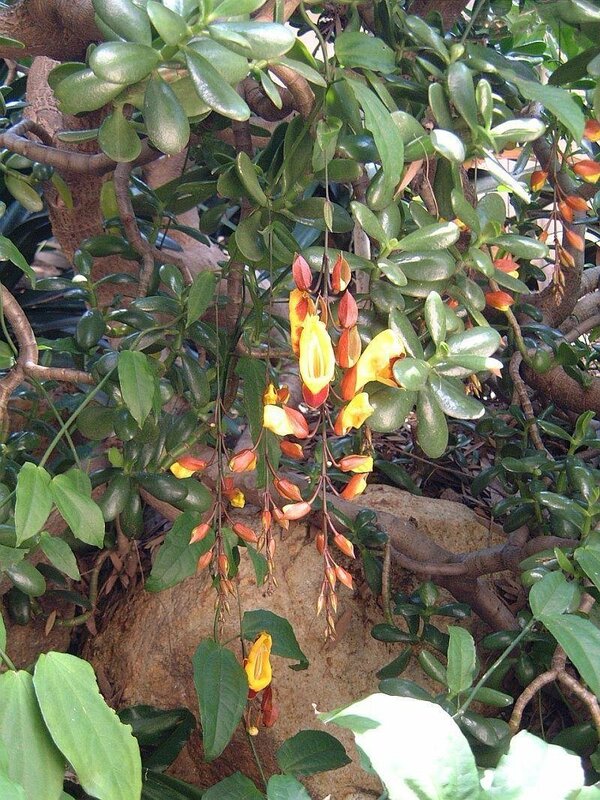 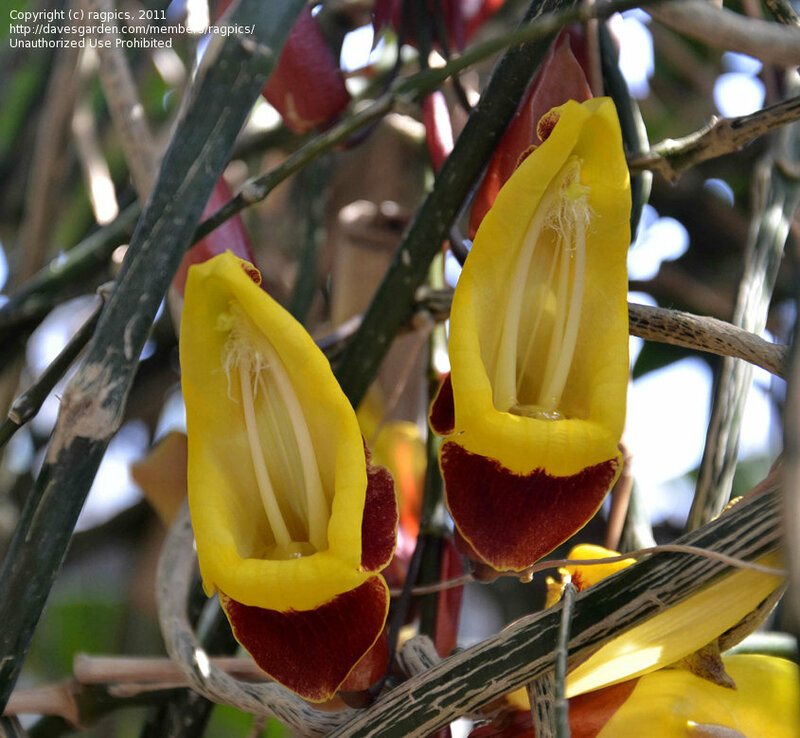 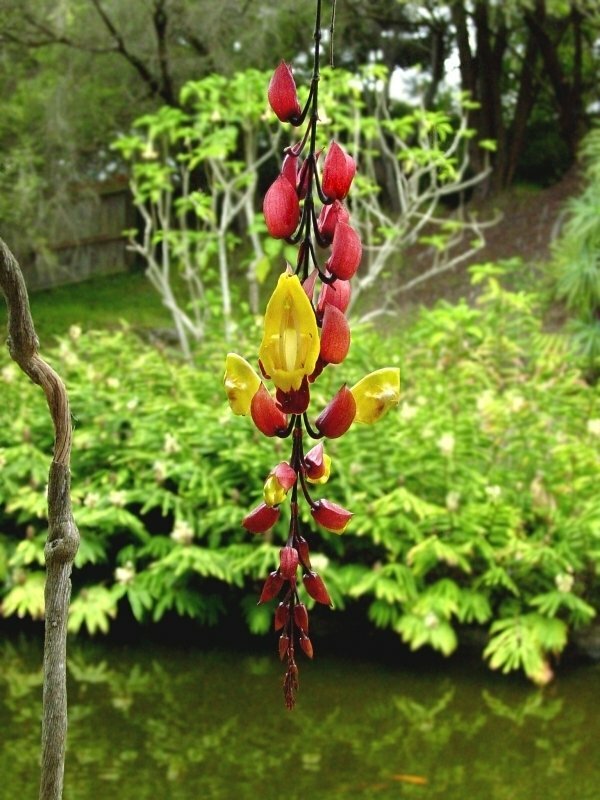 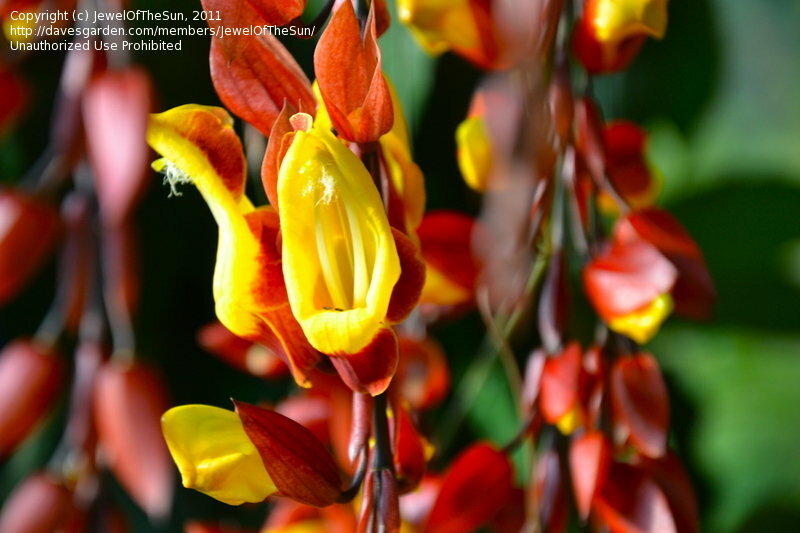 Clock Vine (Thunbergia mysorensis) bloom and bloom buds as observed at the Kula Botanical Garden in Maui in October. 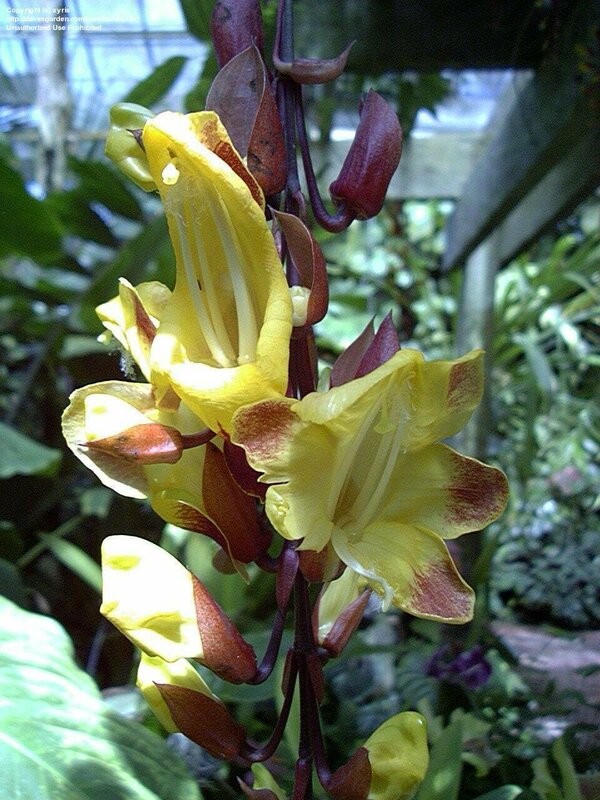 Note the black ant on the open bloom. 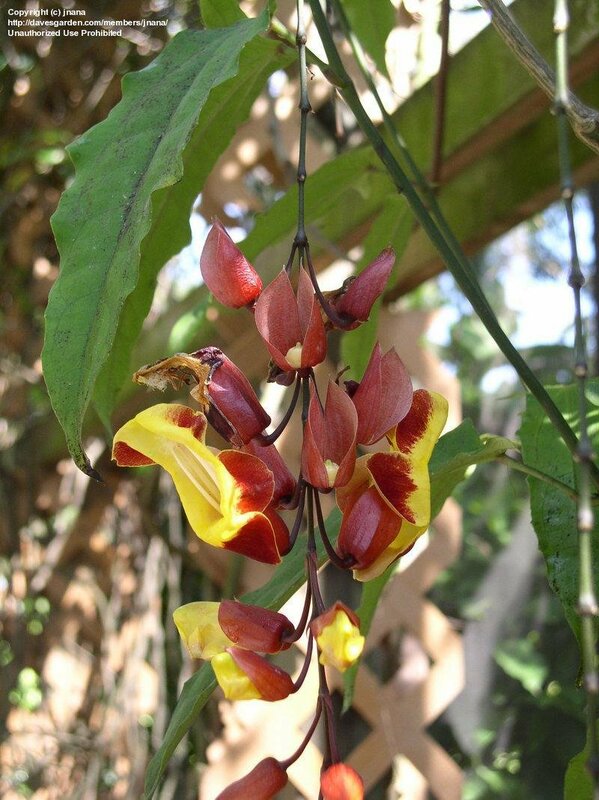 Ants love this plant. 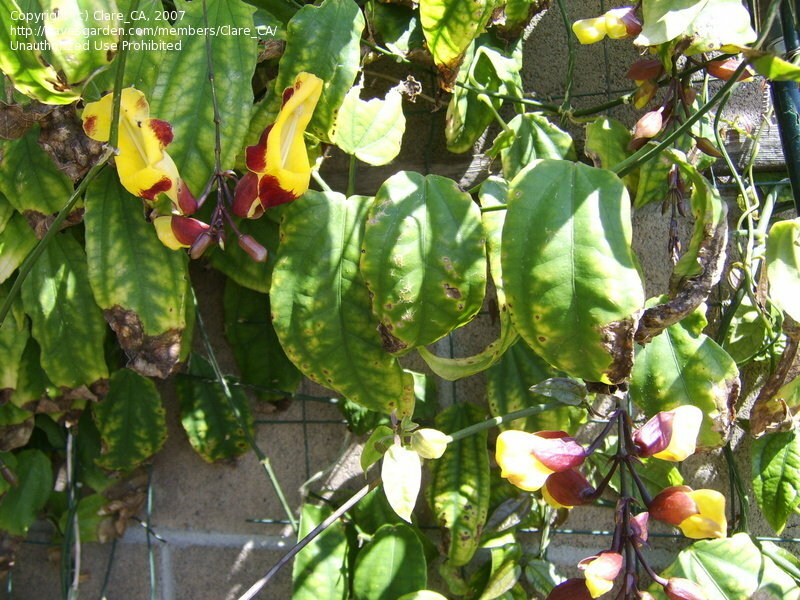 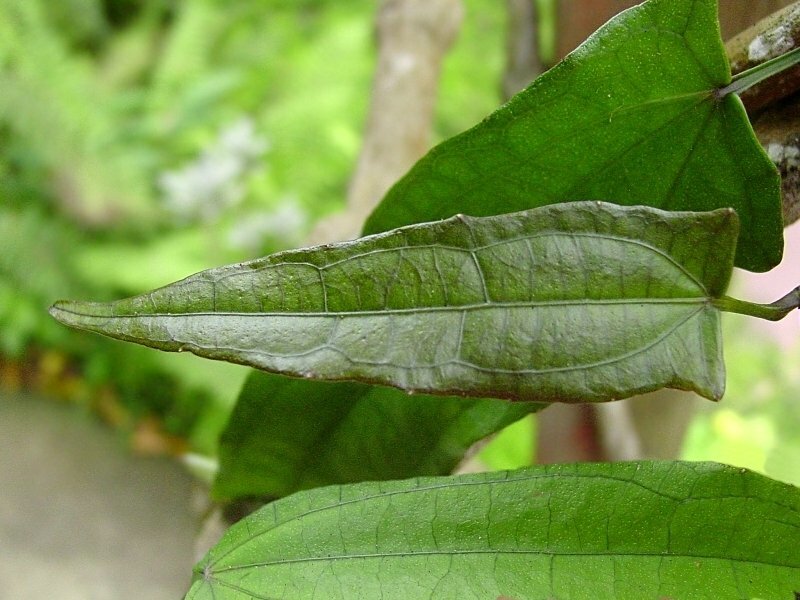 Clock Vine (Thunbergia mysorensis) leaves have distinctive veining. 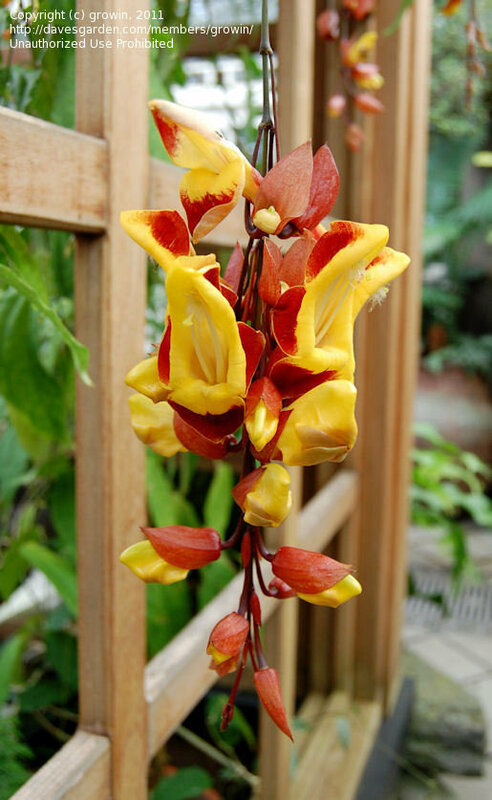 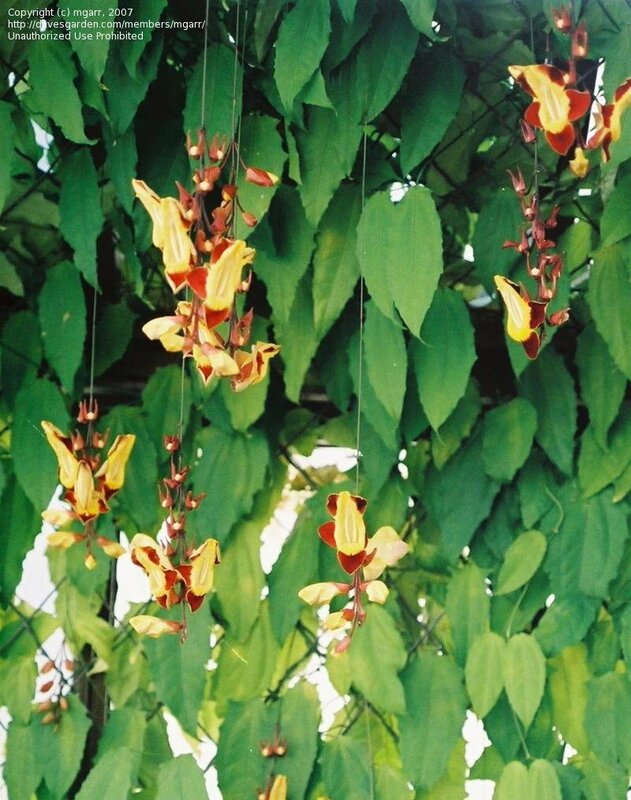 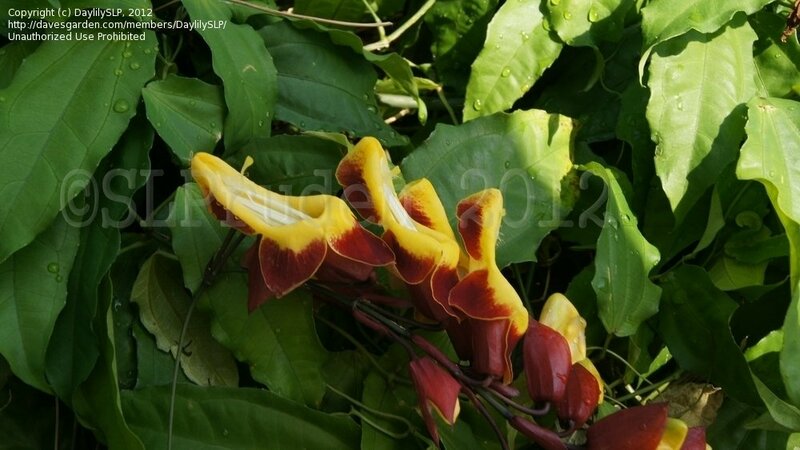 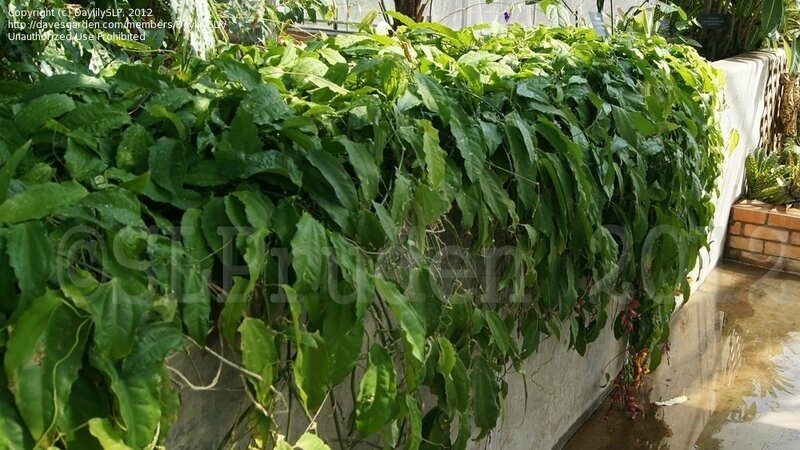 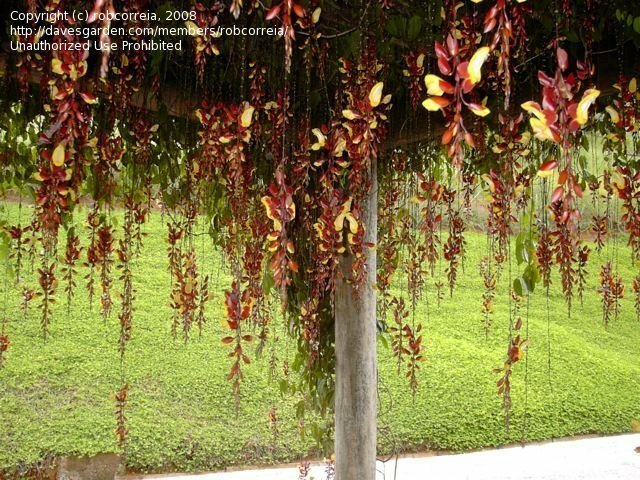 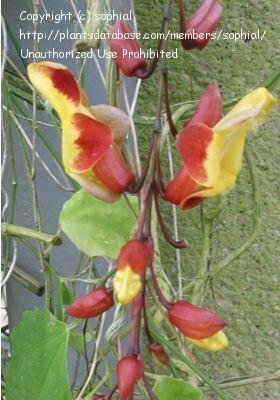 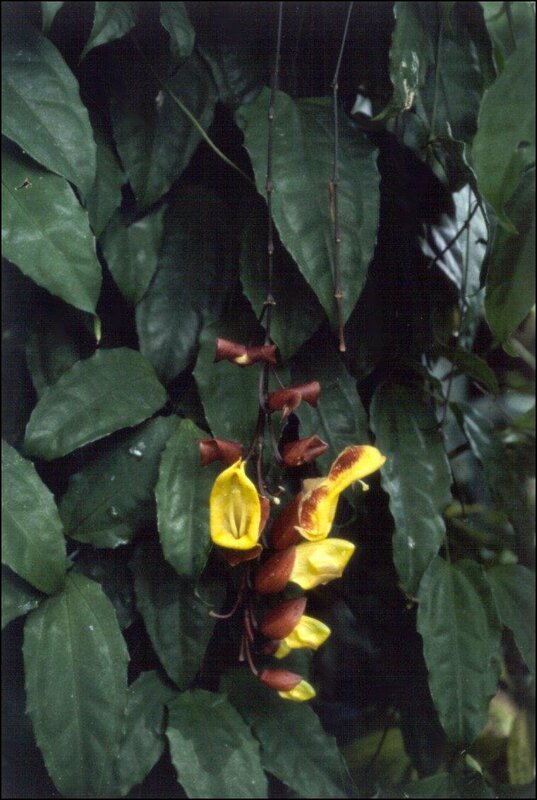 Clock Vine (Thunbergia mysorensis) stems twine around each other. 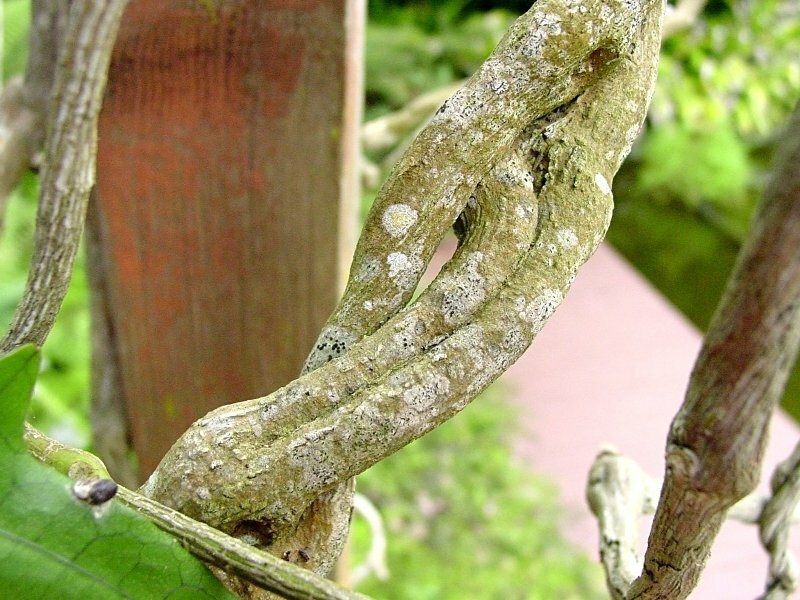 Then with age, they fuse together as seen here. 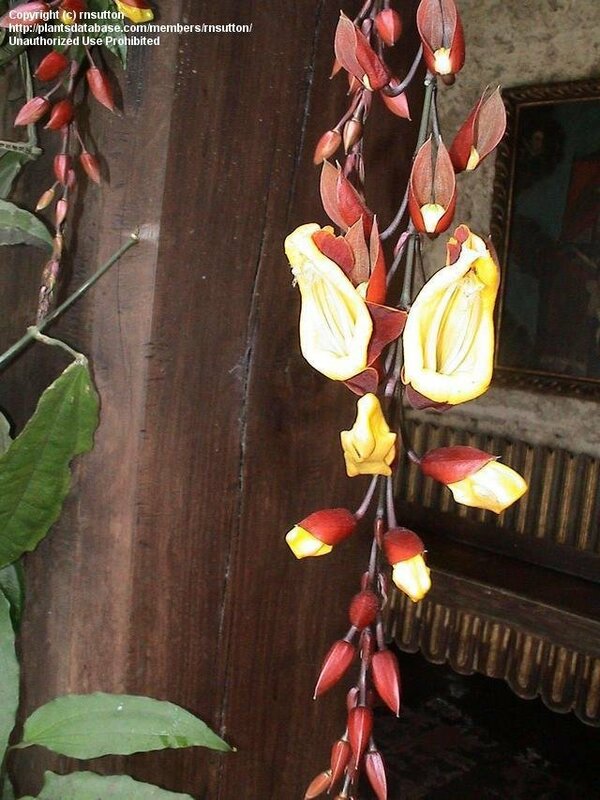 Yellow and brown color in a successful combination. 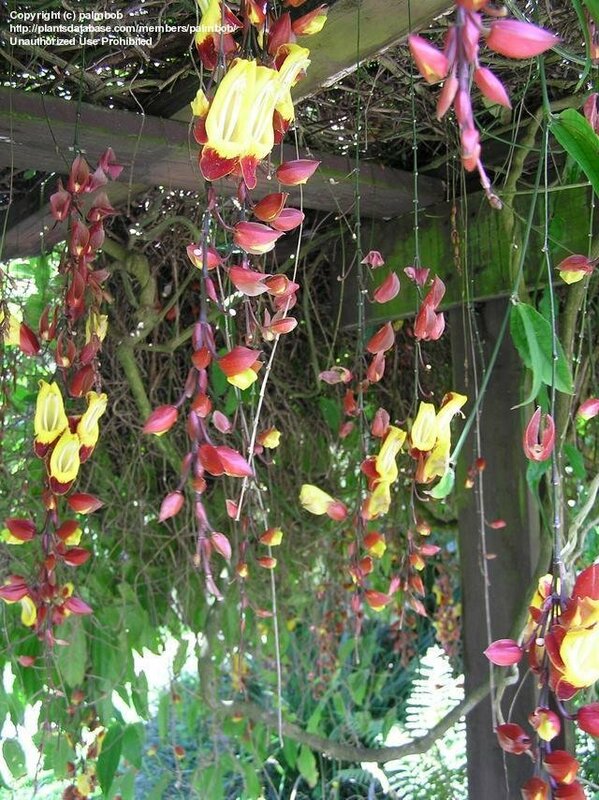 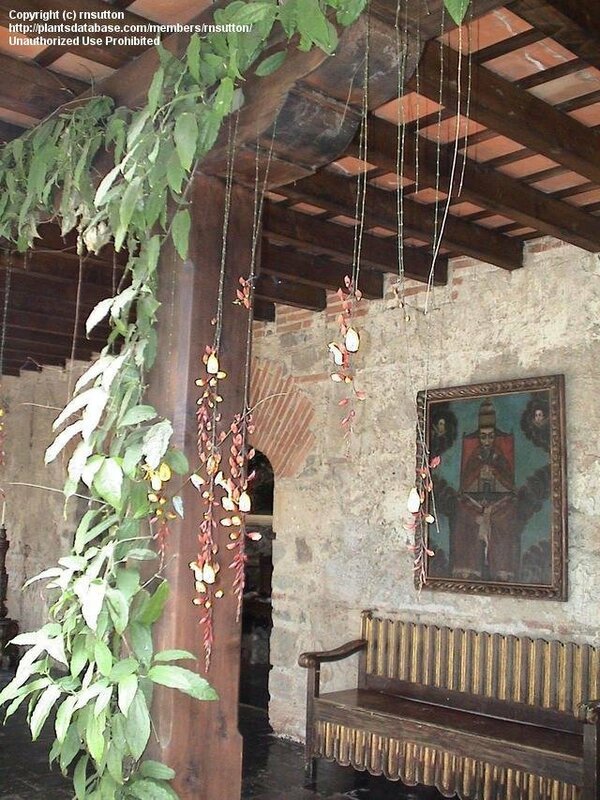 This clock vine grows freely surrounding my rancho deck post and ceiling, blooms year round every day at Jewel of the Sun in Costa Rica.